Imogen's Typewriter. 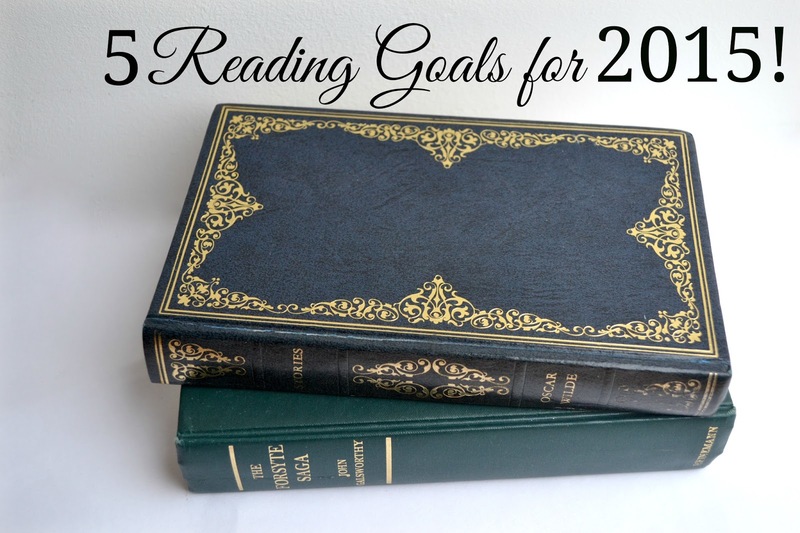 : 5 Reading Goals for 2015! I really want to branch out with my reading in 2015. I've always been a bit of a mood reader and looking at the books I read last year, I definitely tend towards certain types of book. So I'm setting up some goals for myself that I'm going to write on some post-its and keep by my TBR pile structures. My Goodreads reading goal for 2015 is 15 books. It was 14 in 2014 because I hadn't really read in a long time and I had certain misgivings about it. I thought a little more than a book a month would be a nice challenge. Well, I ended up reading 56 books and I'm really proud of that. But in 2015, I'm aiming for 15 because I really want to push myself to read some more challenging books rather than just reading the most I can. I paused 14 books in 2014 and I have a post coming up soon on what and why, but I'd really like to finish at least one of them this year. It's the completist in me. According to Goodreads, the longest book I read in 2014 was 489 pages long. So I'd really like to read a book in 2015 that is over 500. I have a couple of options but I'm thinking Catch-22 which is an impressive 572 pages, and leads me on to my next goal. I read 4 classics in 2014; Of Mice and Men, I am Legend, Mystery in White and To Kill a Mockingbird and I really liked them! The language is a little more challenging but they're classics for a reason. In general, they're good books and contain valuable lessons. My TBR pile is- ridiculous. According to Goodreads I have 432 books in the room I'm currently typing in that I have either not read or haven't read lately. And this is definitely not helped by my love for The Book People collections. So this year I'm going to only buy half as many books as I read, so if I read two books I can buy one, and hopefully that will calm down my TBR a little. And one extra. Write more book reviews. Book reviews are quite unpopular posts as far as stats but I have to remember that I blog for me, and I like writing them and reading them. I want to get better at being constructive about what I read to help my own writing and will now be posting about books on Mondays as well as Fridays!